An indictment has been drawn up by a Diyarbakır prosecutor for two Vice News journalists who were arrested and released in Turkey in 2015, demanding a total of 82.5 years on charges of terrorism. 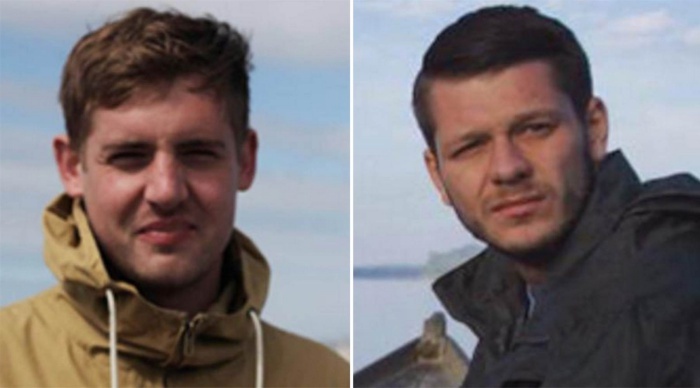 Reporter Jake Hanrahan and cameraman Philip Pendlebury were arrested on Aug. 29 in Diyarbakır and released in September. While they were deported from Turkey, their Iraqi-Kurdish fixer, İsmail Resul, was held in prison until January 2016. Hanrahan announced in November that he had become a freelance journalist after three years at Vice News. According to the 27-page indictment, the two Vice News journalists and their fixer are accused of membership in a terrorist organization and providing it financial aid. The prosecutor asserted that media freedom can be limited for reasons of national security. While the prosecutor is demanding a sentence of 67.5 years for Hanrahan due to his messages on social media in addition to his other “crimes,” 15 years in prison is being sought for Pendlebury. Their fixer faces a sentence of up to 30 years. The indictment argues that the two British journalists were trying to “recruit members to the Islamic State of Iraq and the Levant [ISIL] and other illegal organizations” and “arrange a suicide bombing against military and police buildings,” according to Turkey’s Evrensel daily. The contact numbers and names of the people who died in clashes found in the journalists’ notes were entered in the case as evidence. The fixer Resul is accused of receiving his translation fees from Bank Asya, a Turkish lender taken over due to links to the Gülen movement, and sending stories to Today’s Zaman, an English-language daily that was taken over by the government in March 2016 on charges of alleged terrorism. The journalists will be tried in absentia in the coming months at the Diyarbakır 8th Penal Court. Currently, 146 journalists are behind bars in Turkey, mostly over terror charges. This article originally appeared in Turkish Minute on Dec. 18.